2018 has been very significant for bringing the name of Stellar to the fore. Now we have to consider that indeed, Stellar and XLM are not new to the scene, however, 2018 has allowed Stellar and XLM to grow strength by strength. During the year, as a result of the cryptocurrency boom in 2017, the Stellar brand has become more prolific than ever before, helping XLM to become one of the biggest cryptocurrencies in the world. Many could argue that prior to 2018, Stellar was seen as a lone project, one with great potential but one that didn’t really have any chance of overtaking it’s nearest rival, XRP. Now however, after a great year, XLM is finally considered as a true competitor to the XRP monopoly. As a matter of fact, XLM has just as much chance as XRP of becoming the world's most adopted cross border payment solution. It’s a reoccuring theme, however January marks the official all time high for XLM, as a result of a surge in the price of XLM during the 2017 cryptocurrency boom. During this time, we saw a huge wave of investment move into the markets, this indeed didn’t bypass XLM either. During January, XLM recorded an all time high price of $0.93, shooting up from $0.39 just a few days earlier. 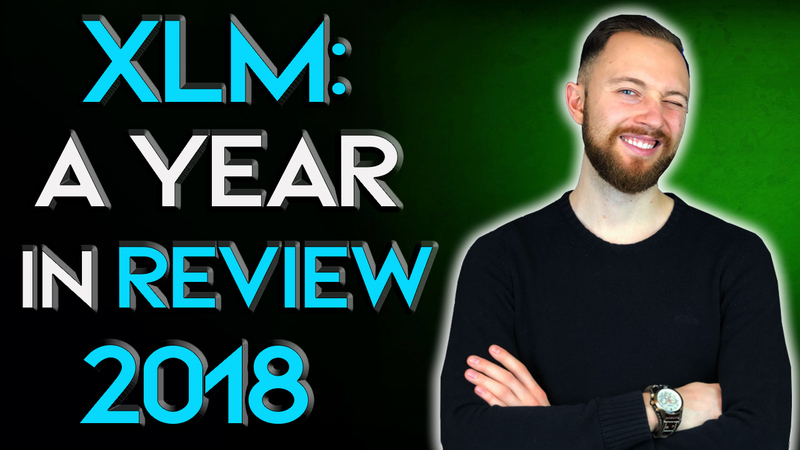 By the 10th of January, XLM had stooped back down to the more familiar territory of $0.50, however through the surge, XLM set a new precedent, and cemented itself as a serious cryptocurrency as we entered the start of 2018. After the surge experienced across the markets, February marked a slightly more pessimistic time for cryptocurrencies and their investors, the same can be said for XLM also, which recorded a monthly high of just $0.48, off the back of a monthly low of $0.27. February saw a huge pull back across the markets as a result of a correction from the January surge. This announcement led to a string of consecutive further announcements that have only contributed to the very positive year that 2018 has been for the team at Stellar. Investors should remember however that this announcement was followed by a slump in the value of XLM, which hit $0.26 just a day after the announcement… oh well. We believe this announcement was Stellar’s single most important event through 2018. Approval within Sharia law means XLM has become a token that can legally traded within Islamic communities. Indeed, local laws still apply however, with this in mind, people of the Islamic faith can be sure that the use of XLM complies with their own laws. This is vital as Stellar aim to create a fully decentralised and powerful cross border payment solution. Acceptance across the world starts by being complicit with the various laws and legislation. This announcement in July, was frankly huge, all things considered. This announcement eventually led to a spike in the value of XLM, which recorded a 2-monthly high of $0.34 on the 25th of July 2018 proving that this started to get investors quite excited. Through the year, Stellar have continued to make progression with XLM, through further partnership announcements that are all helping XLM to become a powerful rival to XRP. We have speculated around this numerous times and do believe that one day, XLM could challenge the XRP throne, however, what we would much rather see is the pair working together towards making blockchain ‘the norm’ when it comes to remittance and cross border payments. A flippening would be far less productive than a potential agreement between the pair. As it stands, XLM remains to be one of the biggest cryptocurrencies in the world. This could not have been possible without the incredible hard work from the Stellar team and of course, the investors who have backed this project from the very start. Without them, Stellar XLM certainly wouldn’t be making the waves that it is making today. Have you heard? Crypto Daily have launched their latest Ethereum giveaway, one that is set to inspire the start of a new crypto revolution! Bitcoin (BTC): What Is The Volatility Index (VIX) Telling Us?